Today i have for you a haul,just some things that i bought a while ago.Looks like Body Shop's promotion or something but it's not.The store it's almost next to the place that i work,plus i love so much all of their products so i always end up buy more and more. 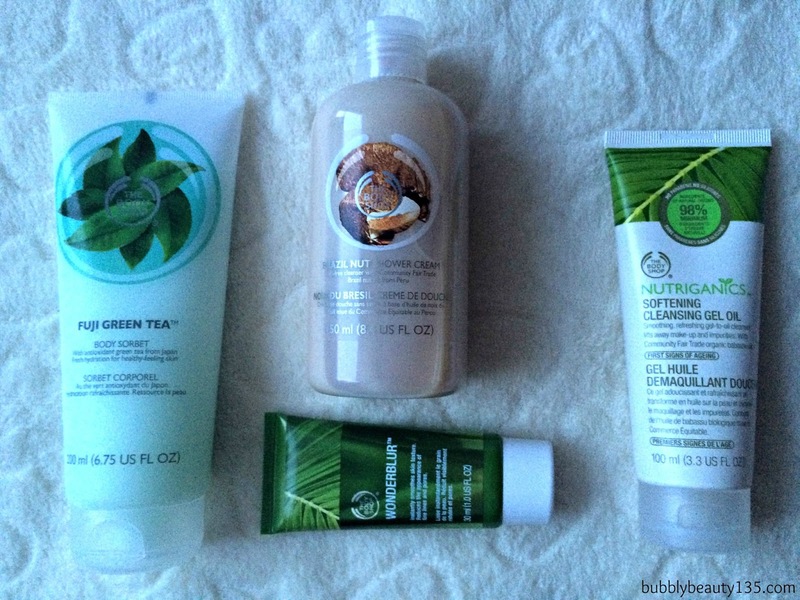 I use the products around twice so i can talk about them a little bit,something like a first impression. ,clean,kind of sweet and spicy together. Brazil Nut Shower Cream : Sooo in love with this scent.I felt in love with the scrub and now this shower cream has the exact same scent.A really sweet one,which at first i thought that has something to do with chocolate but now i think that it's a more caramel-ish scent. 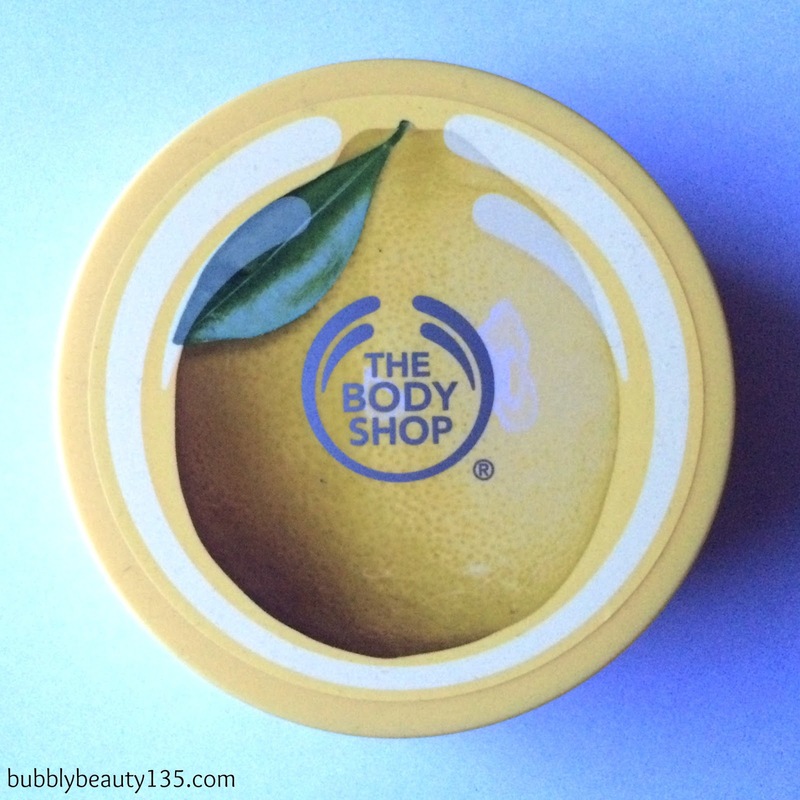 Wonderblur : A product that recently launched by The Body Shop.I used it sometimes already and i really like it.It's a primer and smooths out my skin really well and helps my makeup stay on all day long. Nutriganics Softening Cleansing Gel Oil : This is a product that i grab it without thinking about it because it was super super cheap after a discount that it had.I'm not sure if i like it or not yet.I love my cleanser to be like soap and make foam and all these stuff,so maybe i'm not a so good judge for this product.At least not yet. 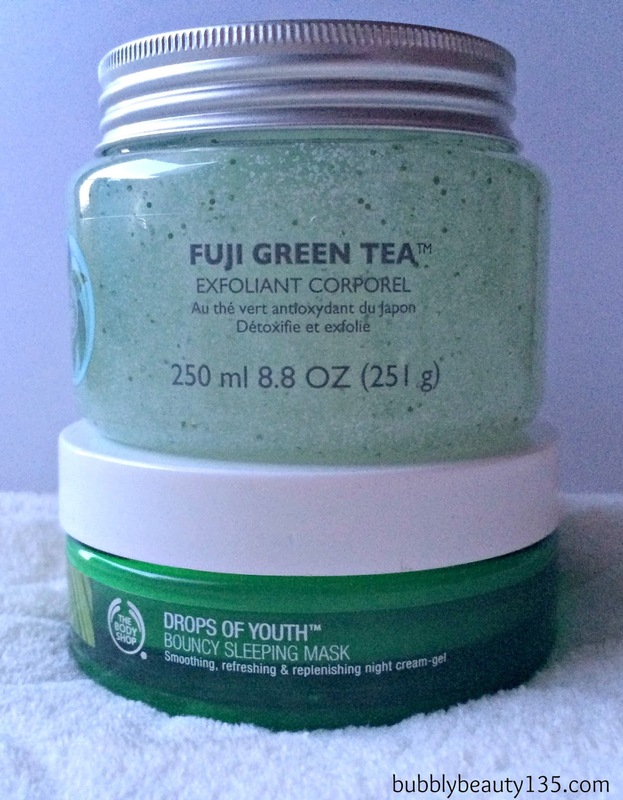 Fuji Green Tea Exfoliant Corporel : Another one green tea product,with the same fresh and clean scent like the body sorbet.It's more like an everyday exfoliate product,at least for my taste i think that it isn't the best if you want something for deep exfoliation.Also i love the package (i will keep it afterwards for sure). Drops Of Youth Bouncy Sleeping Mask : A product that i really don't know if i like it or not.I was ready to made a review for you,the photos was ready but then i was thinking that i wasn't so sure.Maybe i need to try it a little bit more.The positive is that i feel it good on my skin,moisture it without be too heavy. 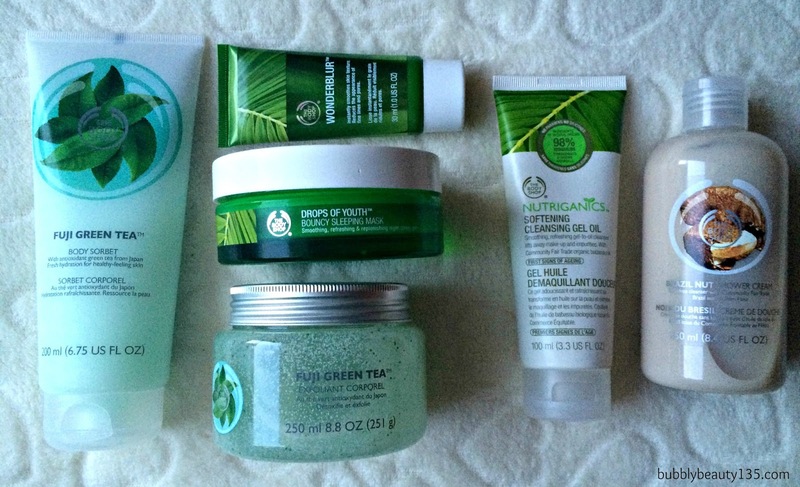 Do you ever try out any of these products?Do you want maybe a full review for any of these products?